Some 15 years ago when I first viewed the pictures of Lo Manthang, the once Forbidden Kingdom, on the magazine pages and read about the place, they appeared surreal. I still remember old folks speak in awe about it as the “himal pari ko desh” meaning a land across the Himalayas. For me, it seemed at the time, out of bounds for me, something of a dream. 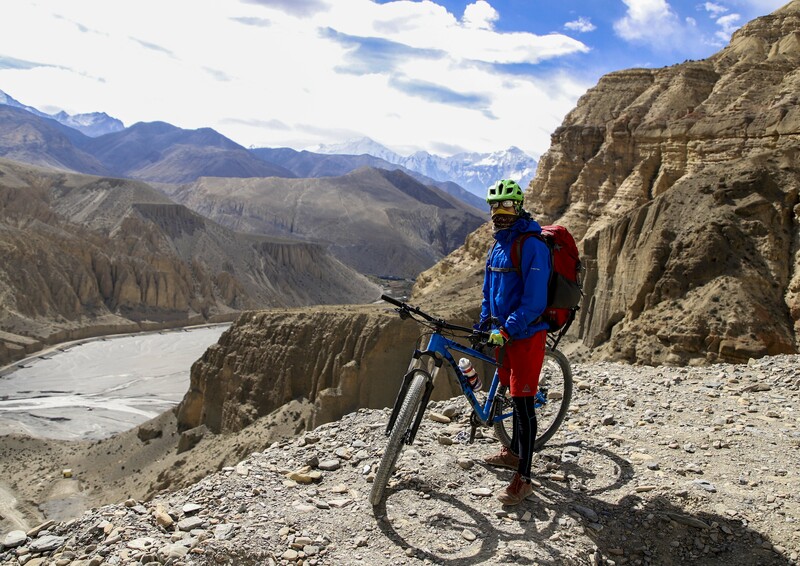 After doing a mountain bike ride to Kalinchok(3,842m), Dolakha in 2014, I fantasized about doing a trip to Lo Manthang. I made plans for three years in a row (I had been to the lower Mustang to Muktinath once with family and friends in a vehicle) and see for myself the “Walled City of Lo” (another name for Lo Manthang)–but it never came off. But dreams can come true, don’t they? On the 20th of October, 2018 I took a bus to Pokhara to fly to Jomsom, the kick-off point for Lo Manthang. 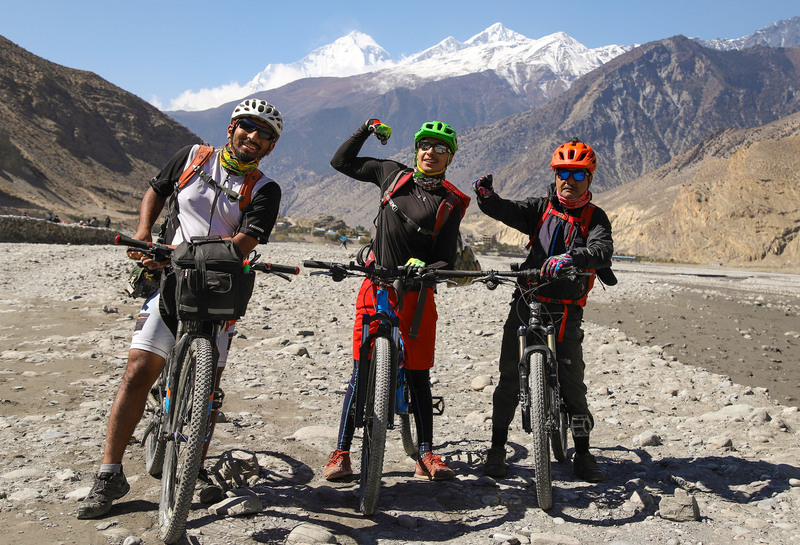 I was to be joined by three other friends in Jomsom. 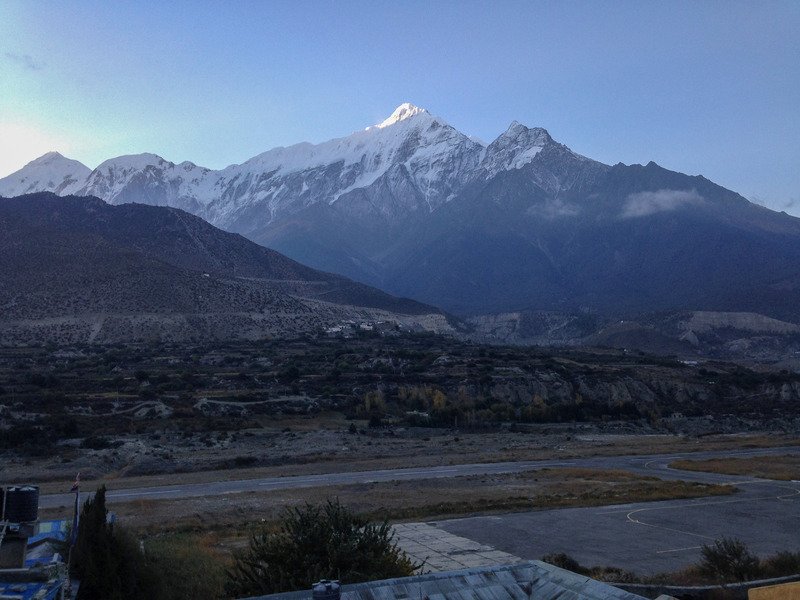 The flight to Jomsom itself was no less an amazing experience–scary too! The 20-minute flight though short-lived afforded a breath-taking view of a panoply of snow-clad mountains. 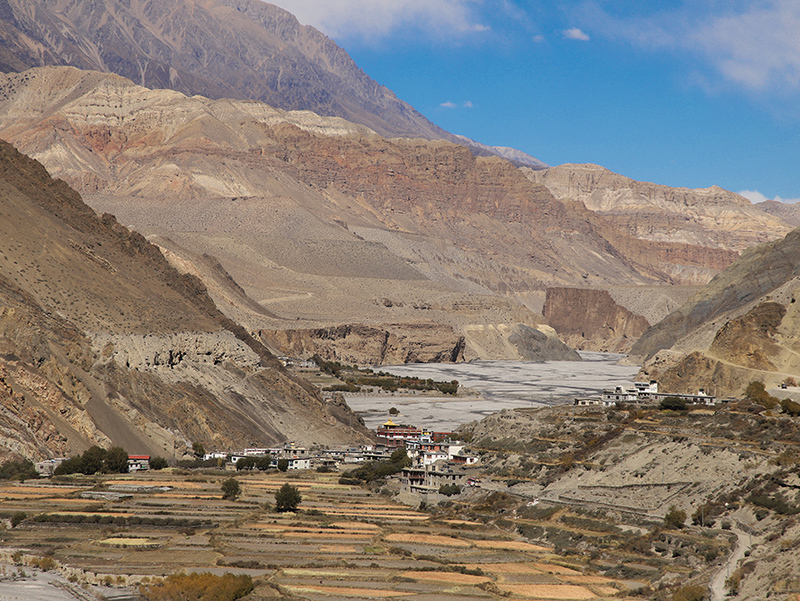 All of a sudden, the plane shuddered violently as it flew low through the deep Kali Gandaki gorge. Full of trepidation, I held my breath until I saw the runaway tarmac zoom in at full tilt. I sighed in great relief as the plane finally touched down. Phew, that was close, man! I said to myself. Later, I learned that at this point, the Southerly wind that barrels through the Kali Gandaki gorge cutting through the great massifs like the Dhaulagiri and the Annapurna range gains a gale force reaching no less than 35 knots (over 65km per hour) in the afternoon. The highest recorded wind speed by the Jomsom air-tower is said to have crossed over 80 knots (148km per hour). Incredulous! 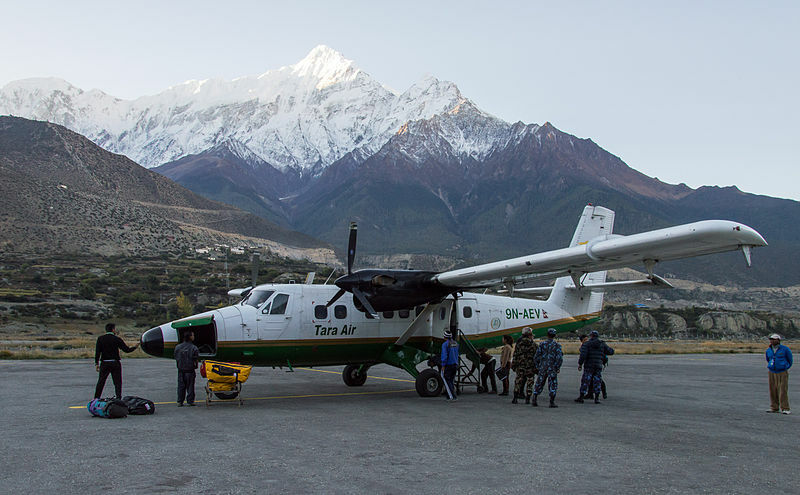 Little surprise, the Pokhara-Jomsom flights are only scheduled for the mornings until noon because of high winds that start in the afternoon and last until sundown. Despite the precautions, delays and cancellations of Jomsom flights are almost quotidian. 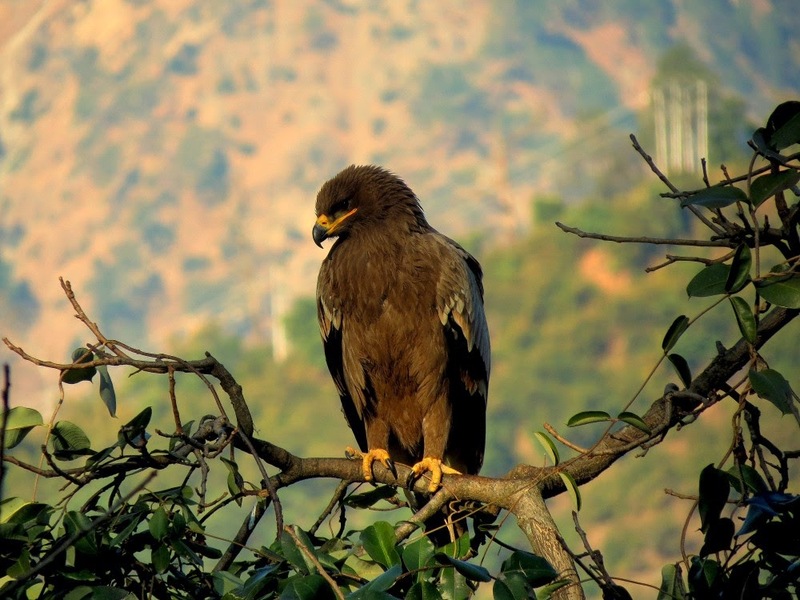 Strangely, it is not only the aircrafts but even the birds go through no less a harrowing experience while flying across the deep canyon. 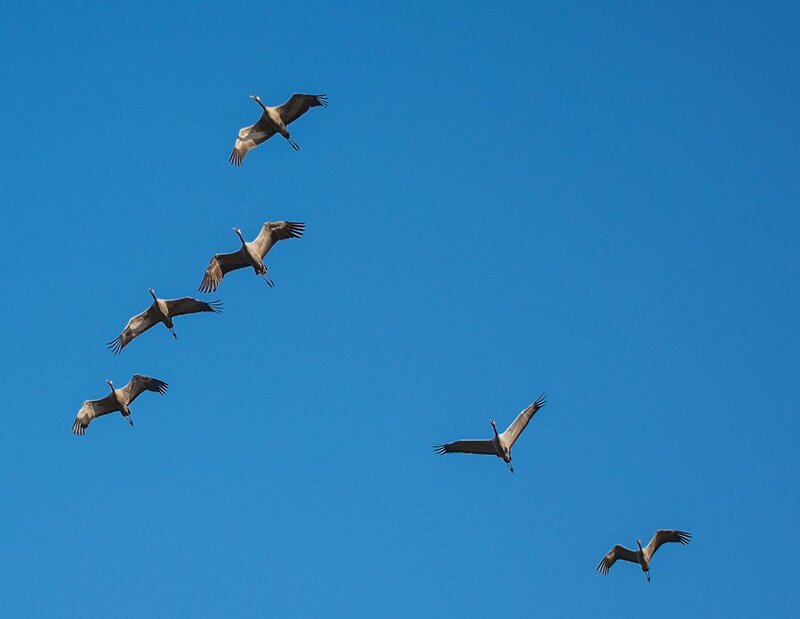 On their annual migration flight, they travel from the north as high up as the highlands of Tibet, Mongolia, and even Siberia to their wintering ground as far south as the Tihar desert in Rajasthan, India. The crowd in the street was no less, from dawn till dusk. People thronged the shops lining the main street buying local goods like apples, dehydrated fruits, zimbu( a highland dried weed used as condiment), churpi(dried yak cheese) , souvenirs and varieties of apple and apricot brandy. Surprise, surprise! 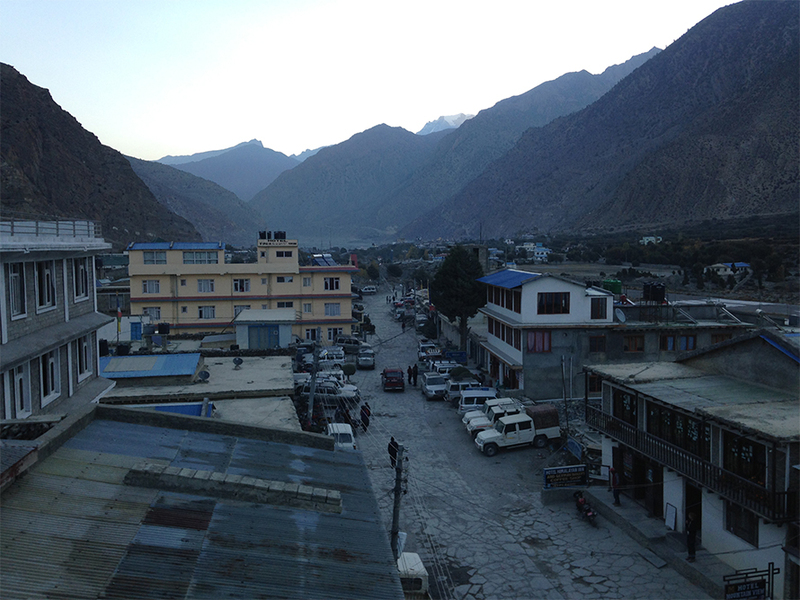 I learned later that not a single hotel, lodge or inn in Jomsom bazaar had room to offer. All were packed to capacity. “During season-time, it’s always like this, so to avoid such predicament, it’s best to book a hotel in advance from either Kathmandu or Pokhara” commented Khagendra Tulachan, the owner of the Majesty hotel where I stayed for the night. My friends arrived by bus from Kathmandu in the morning the next day. Excitement writ all over our faces, we hastened to offload our mountain bikes. 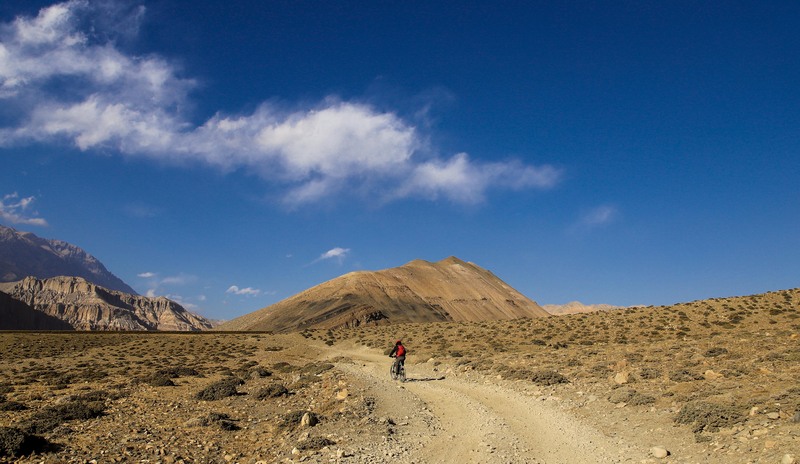 We considered our 13-day trip to Lo Manthang and the return ride all the way back to Beni, Myagdi nothing less than an epic journey .We could not wait to hit the trail! Well, ours was a mixed bunch. Shayeet Sharma: he is just a kid, only 18, a student. I got to know him as he is a neighbor. A bright and breezy lad, he is nuts about body-building. Other passions include playing football and riding his mountain bike. He wants to become a professional footballer and a bike racer (I wonder, how is going juggle his studies and his passions). To me, all three seemed ruthlessly ambitious. Must be their age, I mused. Darn it, as we prepared to gear ourselves for the ride, we found that one of the bike’s tires, Shayeet’s, had a big gash, which was beyond repair! Now, Zomsom is not Kathmandu. There are no bike shops where you can buy a mountain bike tire. After a hurried but a filling and nourishing breakfast of buckwheat bread with honey, omelets and a new item, tsampa porridge (made of local barley called Uwa, which became my favorite all through the entire trip), we set off for Kagbeni, the gateway to Upper Mustang, 11km away. Despite the chill in the weather, the 10 am sun shone brightly. 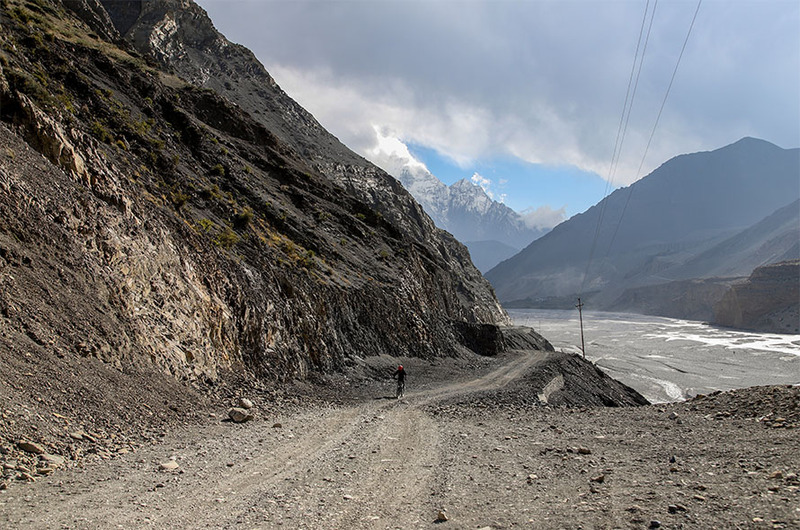 The gravelly jeep track led us on a slight slope until we crossed a bridge over the Kali Gandaki river. The road appeared quite busy as the jeeps kept passing us going up and down kicking off a cloud of dust. We waved at small groups of foreign trekkers walking with their hiking poles. 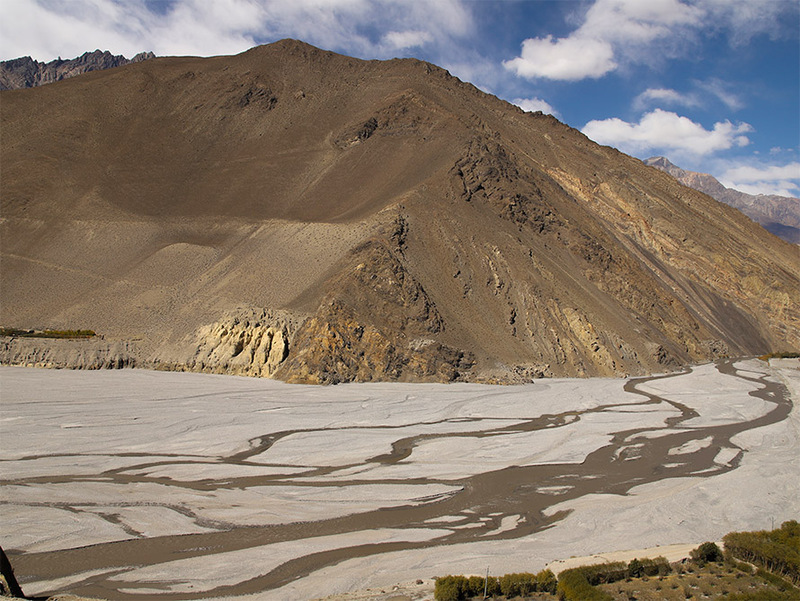 The Kali Gandaki river with its outspread riverbed kept us company all the way. I’d my fears that the road would take a steep climb right from the start but save for a few moderate inclines, we were spared the hard stuff. The landscape that met my eyes was something new and unusual for me. The barren rocky terrain with patches of thorny dwarf shrubs appeared like pictures of the high deserts of New Mexico, the United States. The stark landscape set against the deep indigo sky held a strange fascination over me. Bhote pipal (the highland fig) trees and small enclosed apple orchards seem to enhance the stark beauty of the settlement. Sweeping plots of golden uwa (naked barley, a local produce of Mustang) fields on one side of the town announced its fertile soil and spoke of the industrious Sherpa community of Kagbeni.